During the next twelve months government IT spend will be focused on improving operational performance. Government CIOs are focusing on allocating spend to improving employees’ access to a wider range of mobile applications, as investment priorities begin to take shape for 2017. At the same time, investment is flowing into customer relationship management and analytic tools, yet challenges remain before government agencies start to make the most of these investments. In short, during the next twelve months government IT spend will be focused on improving operational performance. As governments globally continue the drive to deliver better public services at lower costs, it is no surprise that governments are continuing to focus on IT projects that deliver incremental improvements to the operational performance of existing systems. “Areas linked to providing access to services through mobile applications that support business unit managers or provide greater insight into how the agency is performing or new service issues are likely to feature highly on agendas over the next 12–18 months," Ovum research analyst, Chris Pennell, said. For Pennell, digital disruption is already happening through the corridors of power. “Investment into digital technologies continues to grow as government CIOs seek new ways of creating value,” explained Pennell, citing latest Ovum research findings into government technology spend. When asked to what degree they thought the delivery of public services was being disrupted by digital technologies, 38 per cent believed the public sector overall was experiencing “some or significant disruption” to services from digital technologies. However, only 29 per cent thought their own organisation was experiencing “some or significant disruption” to services from digital technologies. “Respondents do recognise that adoption of digital technologies is not without its challenges, especially when it comes to security, internal skills, knowledge, and the scarcity of funding for new programs,” Pennell added. Looking ahead, Pennell believes CIOs need a strategy for managing legacy and cloud estates. “The survey also highlights the trend toward CIOs having to manage an increasingly diverse estate,” he added. Pennell believes this is not bimodal IT, rather multimodal IT. 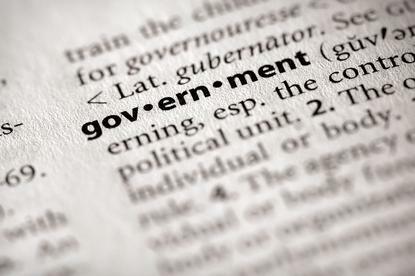 “This is not new; government IT departments have long had to run various estates,” he added.